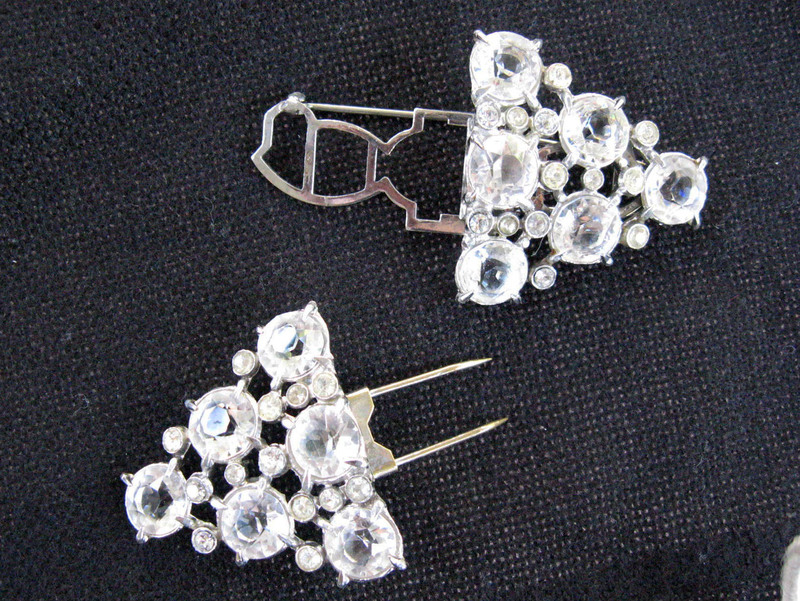 My vintage jewelry obsession includes all kinds of clips: shoe clips, dress clips, fur clips, clip earrings. From the 1920s through the 1950s, various dual purpose clips were patented. Dress clips and fur clips were sold in pairs with a separate frame with a pin on the back. The clips could be temporarily attached to the frame to make one brooch, or worn separately as two or three. 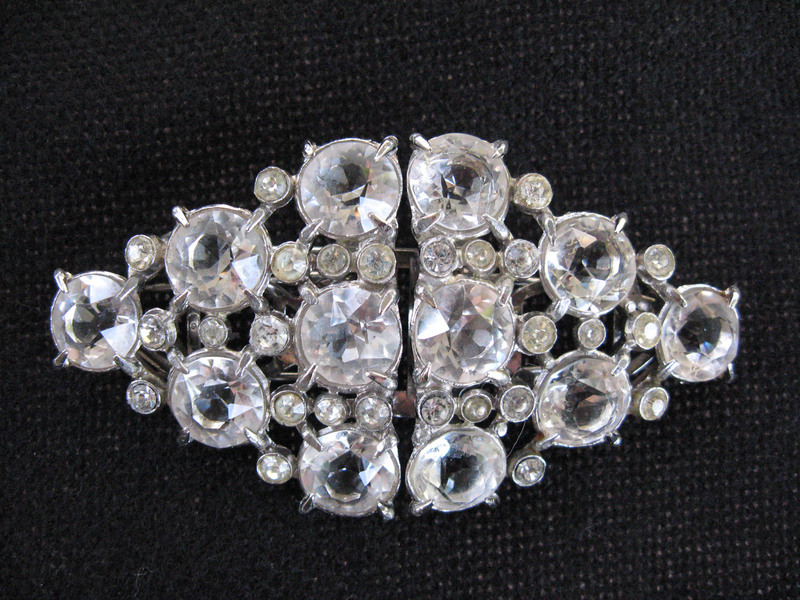 I have two brooches that separate into pairs of clips – one separates into dress clips, and the other into fur clips. This first piece is a Coro Duette, and is likely from the 30s or 40s; the frame mechanism was patented in 1931. The brooch separates into two fur clips. The long, dangerous looking double-pronged clip was apparently to clip onto one’s fur; it could hold two sections of a thick fur stole than a regular dress clip. I purchased this at Magpie Vintage. I’ve had this Weiss clip pin (shown below) for years . 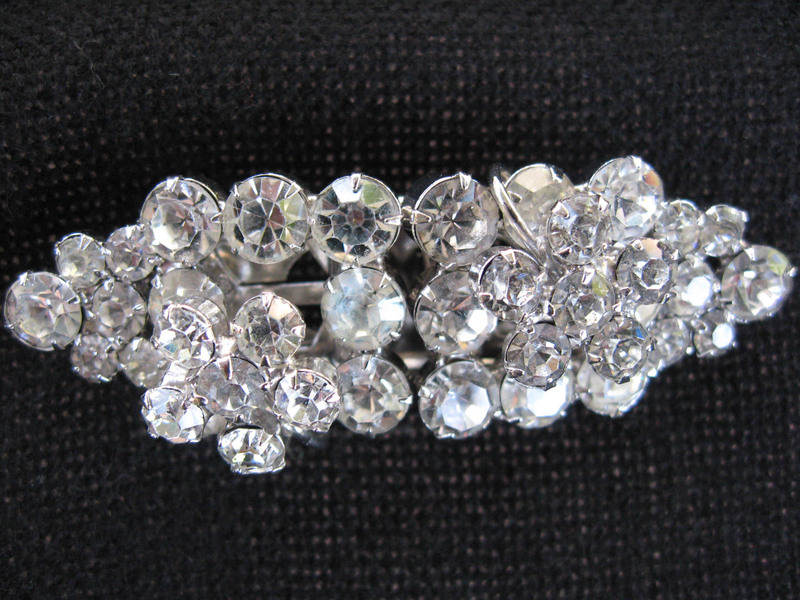 It’s a dress clip from sometime after 1942, when the Weiss jewelry company was founded. This piece doesn’t have a patent number but it is marked “Weiss.” You can see that the clip mechanism isn’t short enough to be a shoe clip, and doesn’t have the double-pronged clip that a fur clip typically does. 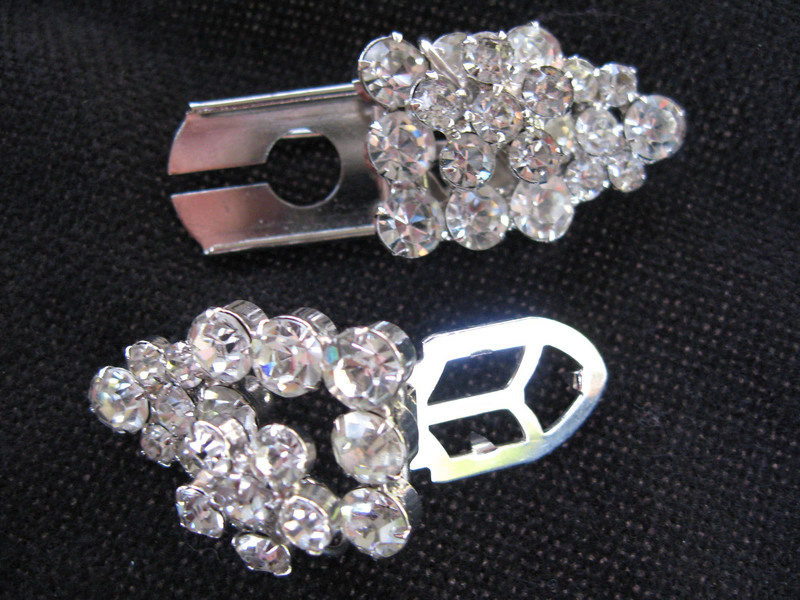 For more information on vintage clips, see Illusion Jewels.